Three months ago today, Adam and I became homeowners. It was a blustery January day that represented a threshold we were crossing as adults and would mark the beginning of a thirty-year journey in our home. 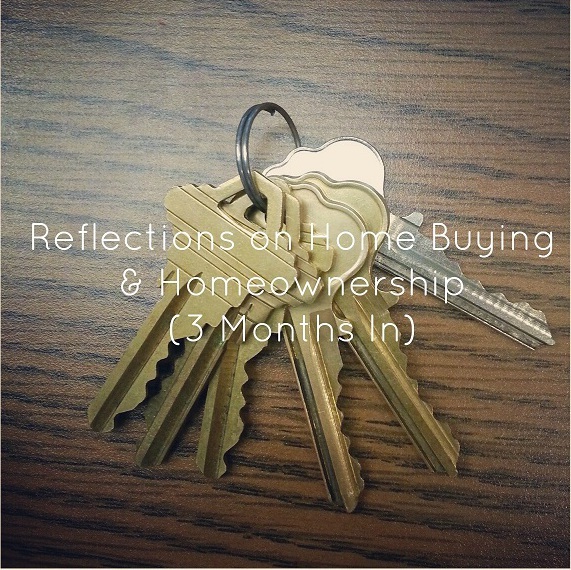 While I am by no means an expert after only one home purchase and three months of homeownership in my past, I’m a reflective person who attempts to learn something from every life experience and have already committed a lot of time thinking about what I wish I had known before diving into this next phase in our lives. Home buying is uniquely stressful and uncertain, filled with second guesses, emotion, and a lot of money. I hope that a few of the thoughts I’ll share today will help readers contemplating buying a home or relatable to those more experienced home owners out there. 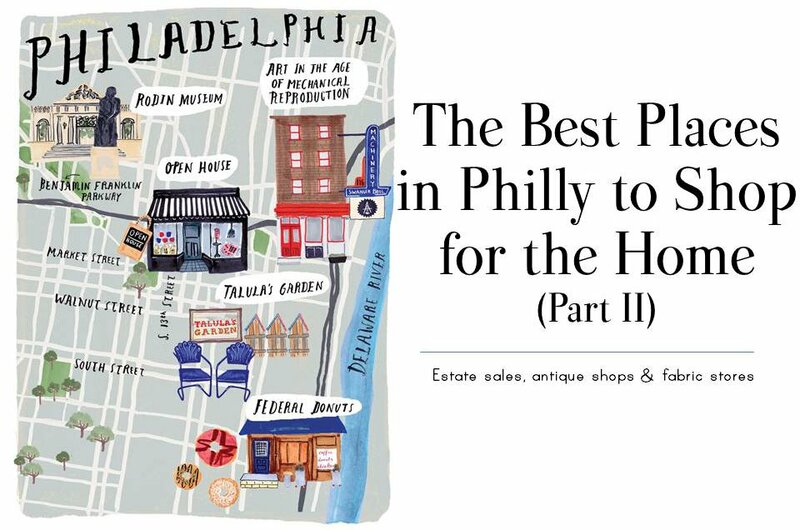 Today in Part II of my round-up of the best places in Philadelphia for home décor, I’ll share my recommendations for estate sales, antique shops and fabric stores. I hope it helps readers now and in the future to find good, reasonably-priced pieces for their home, which isn't always easy. Some may question why I’m sharing resources—as if they were family secrets or bank account PINs—but I firmly believe that sharing is caring. These two posts are sort of like the blogging version of ‘take a penny, leave a penny’. Here are my pennies. Feel free to contribute your own in the comments below and we'll all be a little wealthier for it. While I focused on secondhand/antique goods primarily in this 2-part series, there are a million and one additional home décor stores and shops in the Greater Philadelphia. I encourage anyone reading to explore the area and support local businesses, small and large! Back in March I posted about the topic of comments and, not surprisingly, you my dear readers responded with support and some inspiration for new topics/info you’d like to see here on Meet Me in Philadelphia. One repeat request that appeared in those comments –my recommendations for the best places to find deals on home items here in the Greater Philadelphia area, so this is for you, Leah, Megan and Tara and anyone else! 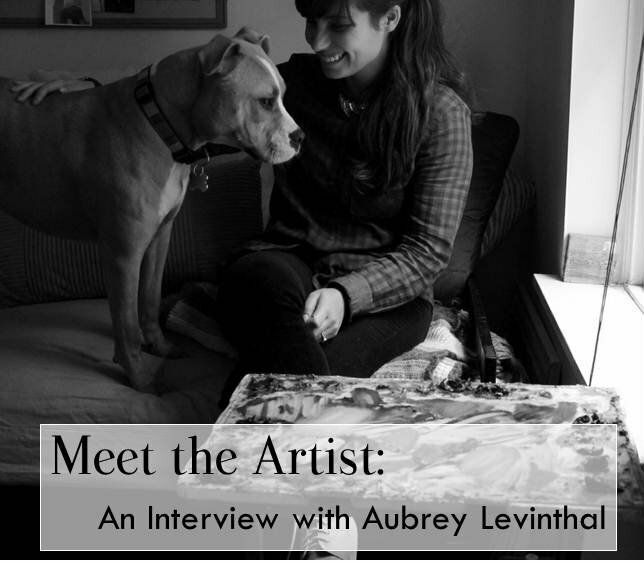 I've toyed with sharing these tips in the past but your requests really pushed me into action! And while these tips may seem very specific to those in the area, I hope this will help readers from all over explore their area for similar, local shopping options. Today in Part I, we’ll chat auctions, thrift stores and flea markets while tomorrow (Part II) is all about estate sales, antique shops and fabric stores. I'm by no means an artist; but when I saw the opportunity to enhance illustrations from a secondhand book with a wash of watercolors, I dusted off my artistic skills and put them to work creating another piece of art for the living room. After the intense happenings around the nation last week, it seemed necessary to decompress over the weekend and spend some much-needed quality time with Adam. Saturday was a pleasant, sunny day and we took the nearly cloudless sky as an open invitation to explore our new neighborhood and appreciate the blessings we have, including each other. If you're anything like me, you find yourself collecting hoarding wrapping paper (especially when it's from Target and a super great price, right?) It's tough to say 'no' to a cute holiday pattern, but the stuff can be annoying to store. 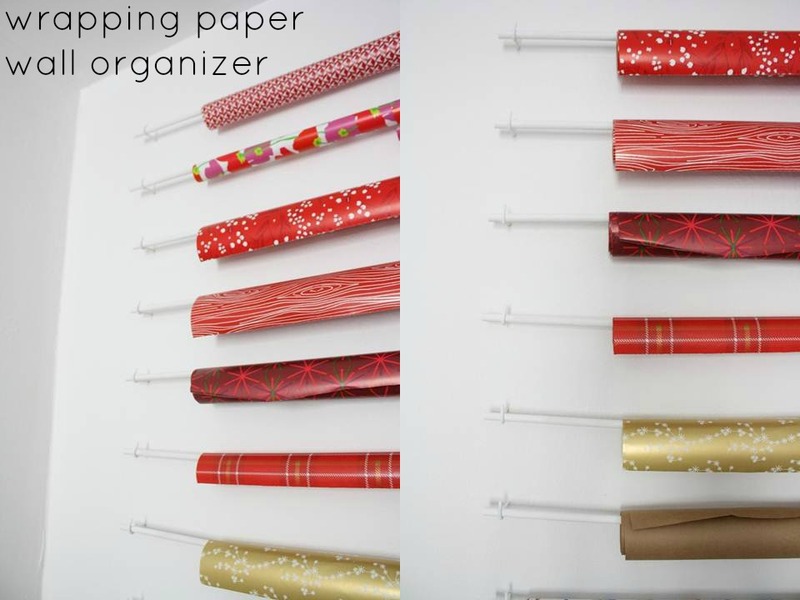 So, when putting my craft room together, I was inspired to concoct a simple, inexpensive way to keep my many rolls of wrapping paper neat, tidy and accessible when I want to use them. The phrase "craft room" is a 4-letter word for many high style bloggers, but I hope you show you all today that a craft room can be stylish and useful as I reveal mine! 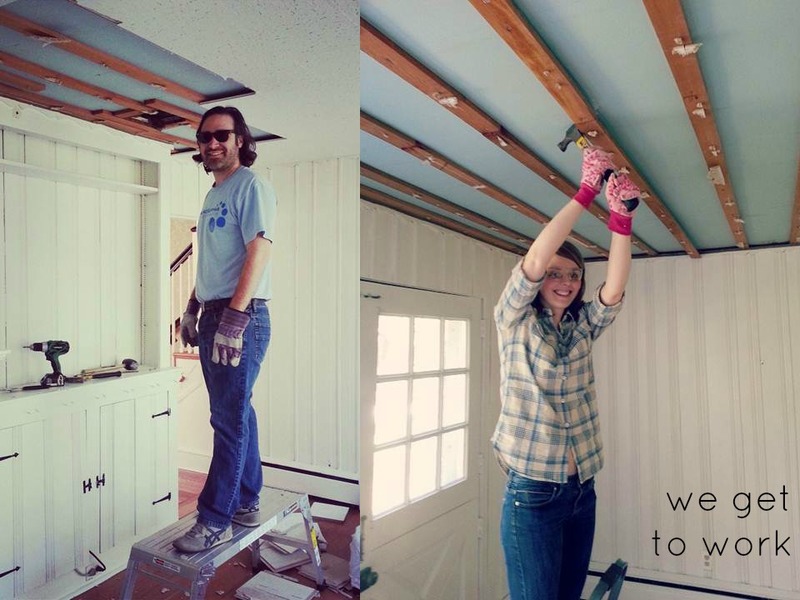 Progress isn't always pretty, but it's usually incredibly satisfying. The last few weekends have been spent 'round here getting dirty and dusty in the name of homeownership. We are loving every minute of it. It certainly isn't happening quickly, but we're already enjoying the fruits of our labor. All week, I've offered up some great items for sale. Each could add a special touch to your home, and today I'll finish off the week-long tag sale with some small home accessories. Every room needs a few good lamps, am I right? I might have just the lighting your room needs in today's tag sale! 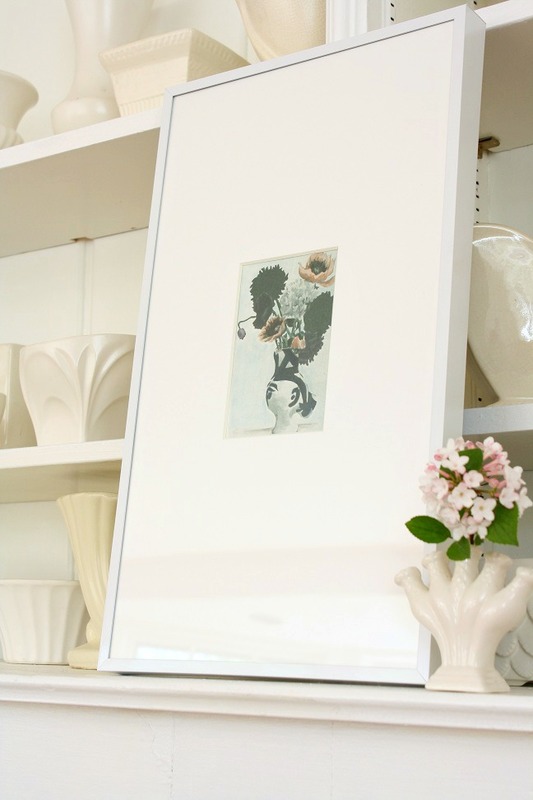 Artwork can make or break a room, so I'm always on the lookout for art that catches my eye. That means I end up acquiring more art than I need, so today I've got framed and unframed pieces (many affordable prints!) that you might absolutely love. Check 'em out! 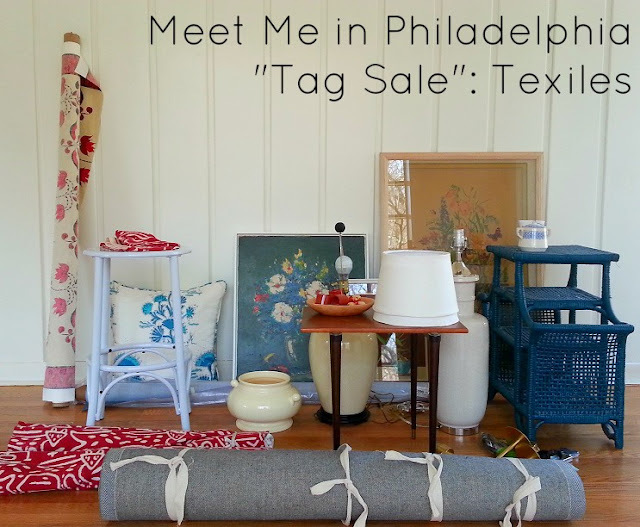 Today, the Meet Me in Philadelphia "Tag Sale" is all about the textiles. Maybe you'll find something you love. With that, let's see what's for sale! Hi, friends! Long time no see. 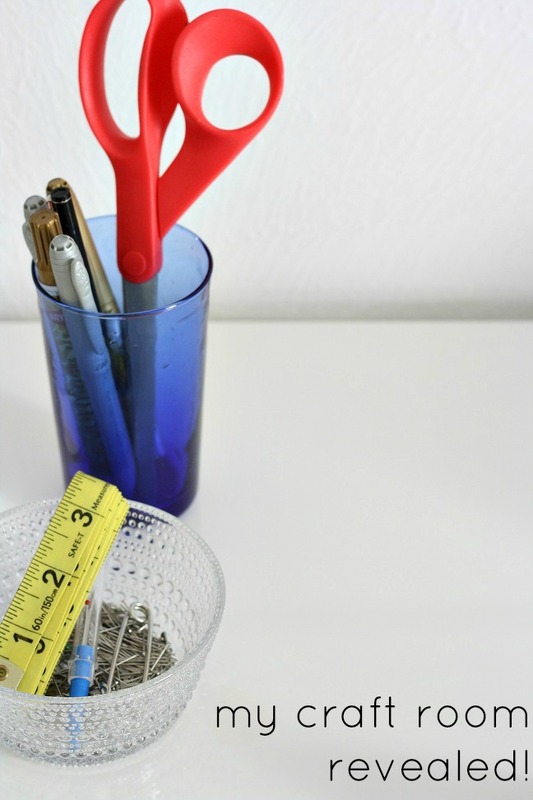 Last week while I was absent here on the blog I was busy in my offline life working diligently to set up my craft room (look for that post soon) and starting a little spring cleaning with my home decor. Now that we are settled into our house, I'm ready to start redecorating and I'd love to pass along many of these great items to those readers who are interested in them! So, all week long I'll be sharing items that you can purchase! Today, you'll see several pieces of furniture that are looking for a new home...how about yours?